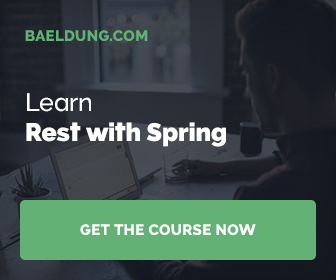 Beginning with Spring 3, Spring MVC has the ability to automatically validate @Controller inputs. To trigger validation of a @Controller input, simply annotate the input argument as javax.validation.Valid. Simple. But there is one drawback with automatic validation: using JSR303 validation groups is not possible. A group defines a subset of constraints. Instead of validating all constraints for a given object, only a subset is validated. Each constraint declaration defines the list of groups it belongs to. To trigger group validation group class or classes need to be passed to the validator. As mentioned, validation is triggered by with @Valid annotation. and there is no way you say which validation groups should be used in validation of @Controller input parameter. Until Spring 3.1 is ready and solves the problem, to utilize JSR303 validation groups manual validation is needed. Note: Have a look at the follow up post that describes the automatic validation with Spring's @Validated annotation (with the source code on GitHub): Validation Groups in Spring MVC. In this article I will present easy way of utilizing validation groups in Spring MVC with wizard-style controller example. The example is hypothetical 3-step account registration wizard. The model class is simply a User. // group interfaces (don't need to be interfaces) to be used by constraints. In stepTwo.jsp password input is required (with confirmation field). Summary page is skipped, since it contains only the view of input provided. The wizard functionality is handled by AccountRegistrationWizardController. Above method takes a account form bound from the requests - step one form (see stepOne.jsp). It is followed by binding result parameter that is used to register validation errors. Please note that account form parameter is not preceded by @Valid annotation and therefore the automatic validation won't happen. Instead, we provide manual validation by calling isNotValid method. This method takes 3 parameters: object to be validated, binding result to store errors and validation group (AccountStepOne.class) to applied during validation. The validation method below is created based on the code from org.springframework.validation.beanvalidation.SpringValidatorAdapter.validate(Object target, Errors errors). The main change according to original code is that we need to call javax.validation.Validator.validate by passing additional arguments: groups and that is the whole trick. In above steps I presented how easy we may utilize JSR303 validation groups functionality in Spring MVC 3 wizard-style controllers. Hopefully, in Spring 3.1 this workaround will not be needed anymore. Have a look at the follow up post that describes the automatic validation with Spring's @Validated annotation (with the source code on GitHub): Validation Groups in Spring MVC. Project created with Maven2 and Eclipse and was tested with Tomcat 7. Have a look at the follow up post that describes the automatic validation with Spring's @Validated annotation: Validation Groups in Spring MVC. Please explain how to create instance of validator here.